You need tape to seal your packaging before you ship your project, but you’ve decided that you don’t want just any tape. 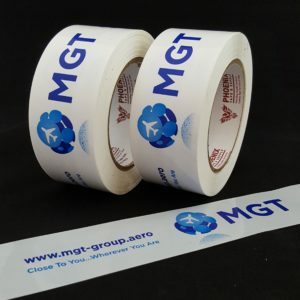 You’re interested in custom tape rolls designed with your messaging. But how do you figure out what to put on the tape and the type of tape to use? 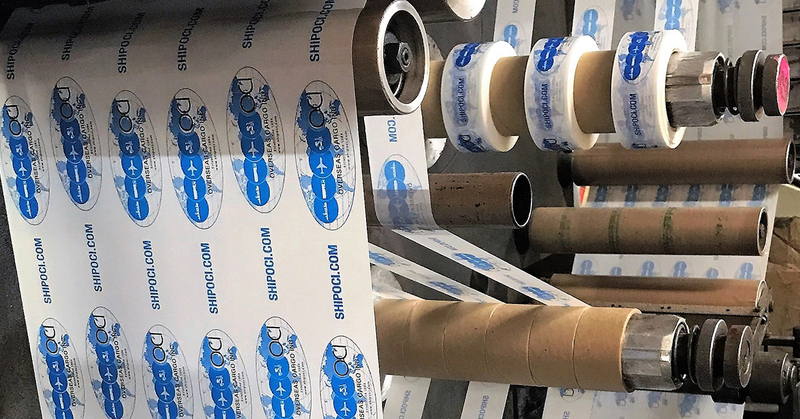 In this blog post, we’ll look at the best way to choose your tape and what to print so that your custom tape rolls make an impact and represent your business the way you want it represented. Phoenix Tape has an in-house art department and can assist in figuring out the best layout and spacing for your company’s information. For example, if you want to combine your logo, web address and phone number we can create an electronic proof that will show exactly how your tape will look. Other options to use include social media icons, special instructions or interesting graphics. How large to make the print depends not only the information to print but how big the packaging will be. We typically suggest that your message should be sized in such a way that you can get at least one full imprint across the top of the box. 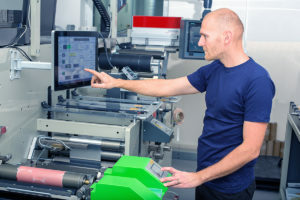 Custom printed tape rolls are produced through a process known as flexography. Colors are printed independently from each other but all in a single pass of the printing press. This process has to be timed impeccably so that the inks line up correctly and print a clean image. When designing from scratch it is worth considering color proximity. However with over 30 years of experience we are confident we can create your desired print. Phoenix Tape can print up to 3 colors so you can match your tape to your company’s colors without any problem. In addition to the 11 standard colors, we offer we can also match custom colors using the Pantone Matching System. Deciding on what type of tape to use is usually the first decision to make. Polypropylene tape provides better image integrity for detailed prints and long runs. It uses a hard plastic plate that enhances the clarity of the print. PVC tape is easier to work with, quieter and adheres to a larger variety of surfaces. It is a more expensive option, but one that can solve certain pain points in your packaging. Paper tape has great adhesion to multiple surfaces and the added security of fiberglass threads woven into the tape. Many customers with light packaging find that a single pass of 2” tape is sufficient to seal their packaging securely. Customers with heavier or larger boxes should consider using a 3-inch wide tape for extra adhesive and strength. 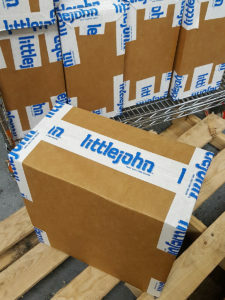 For those customers with very heavy boxes, choosing a heavy duty or even an extra heavy duty tape will ensure that their packaging arrives at their destination intact. 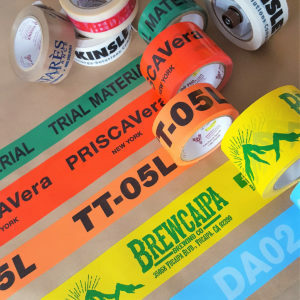 To learn more about choosing the right tape and creating the best print for your company, contact Phoenix Tape. 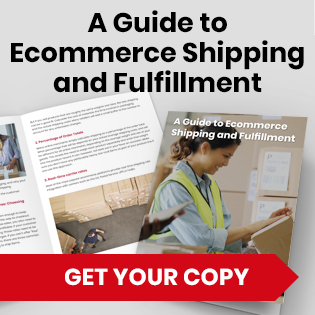 We’ve spent the last three decades working with businesses like yours increasing their brand awareness while making sure their packages ship securely. 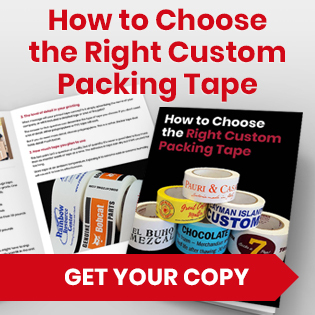 Next Next post: Custom Paper Tape or Plastic Tape: Which is Better for Your Packing Needs?